Sorry it’s so late— you must be wondering, “Why? 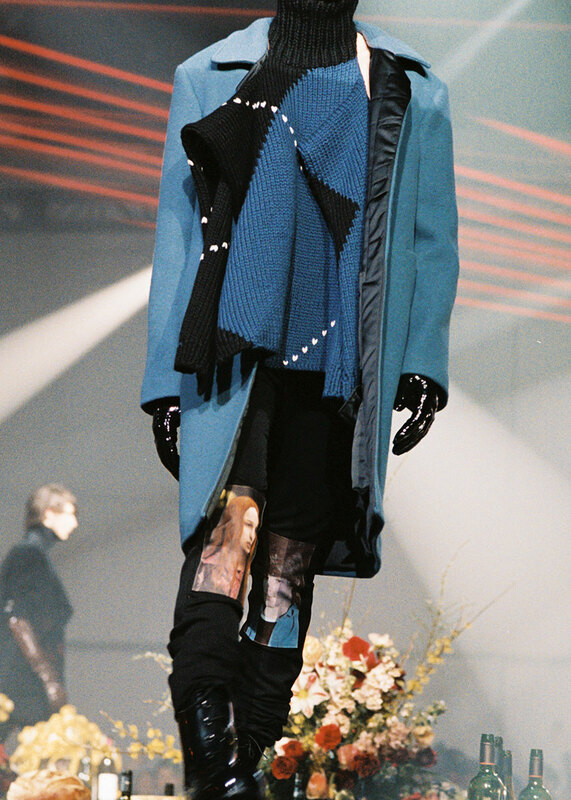 We’re finally on the last leg of Fashion Week, and office is still stuck on Raf?” OK, office has had a busy few days. We had a new issue release. There were big shows this weekend. But, the thing is, that’s not the real reason we’ve been sleepless— Raf is what we're ruminating on. 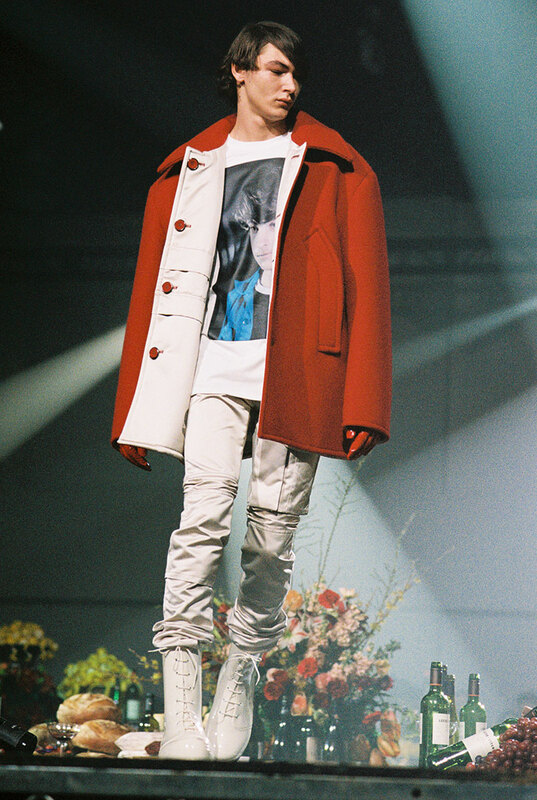 So, this season, Raf Simons did DRUGS. Definitely an audacious decision for a designer during NYFW. And the by-product? Behold: the Balenciaga Croc of Fall/Winter 2018— with supplementary socio-political weight. 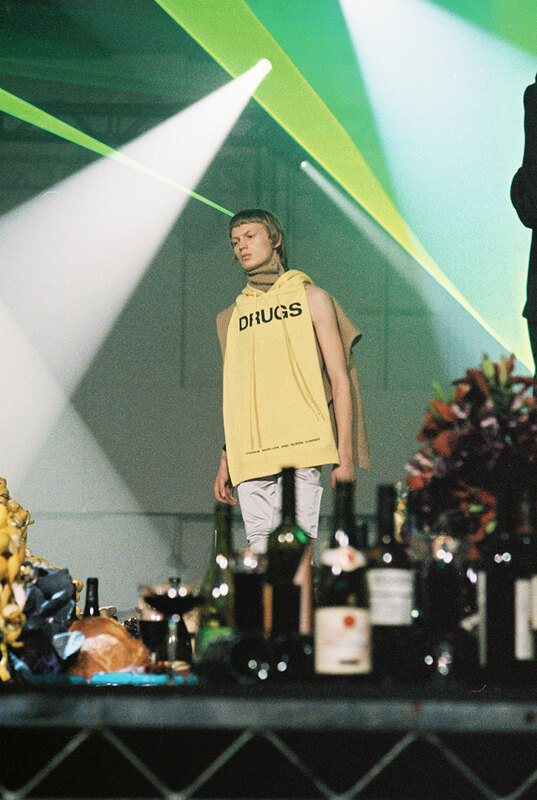 We confirmed this season’s conversation starter last week, at Simons’ show where we came cross the controversial FW18 collection for the first time, which was titled, Youth in Motion. 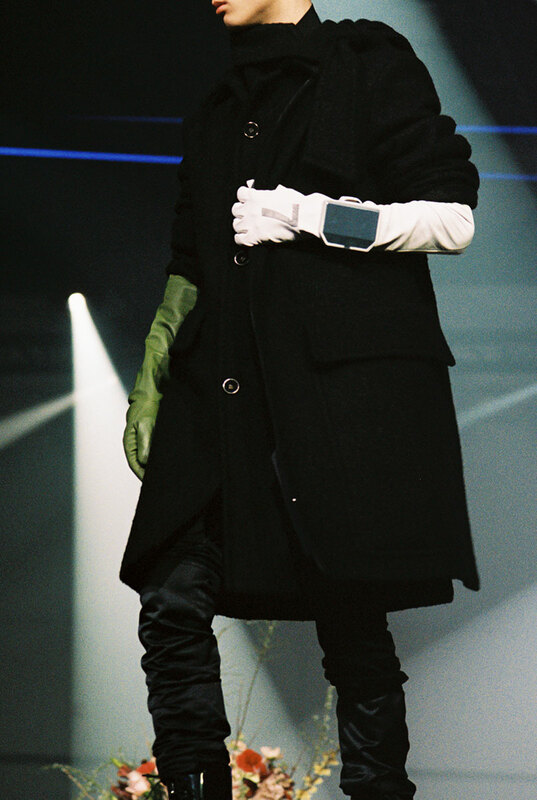 And really, I would die for Raf. I would. His designs are brilliant, we all count on Simons for superb construction, and cerebral, timelessly cool, continually current attire. 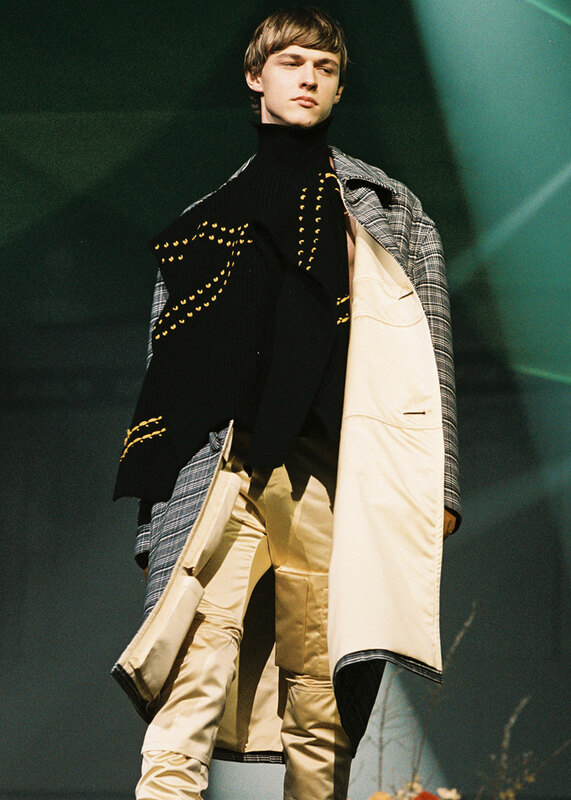 Whether it’s Joy Division, Chinatown, or cowboys— there’s an addiction to subculture we see in Simons’ successful aesthetic— his designs deliver an array of dichotomous, almost random references— and somehow, in one season, Simons makes sense of it. This is the heated question we’ve heard all week. This time, he drew from Drugs, the substance-fueled script by Glenn O’Brien, and Uli Edel’s visceral 1981 film, Christiane F: Wir Kinder vom Bahnhof Zoo (We Children of Bahnhof Zoo), a German story speaking to the the horrors of heroin abuse in the 1980’s. 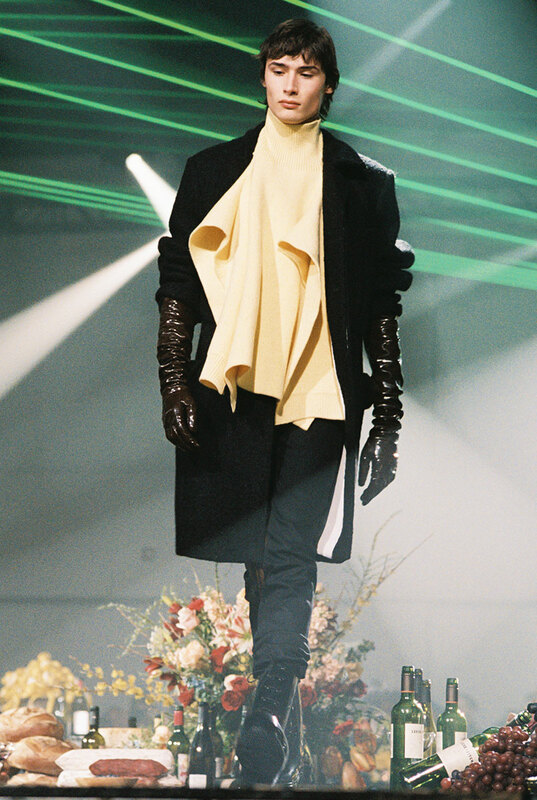 All this, to a soundtrack that spoke the subculture surrounding 90’s acid house techno, on top of the set— an opulent feast symbolic of the salons of mid-century couture houses. 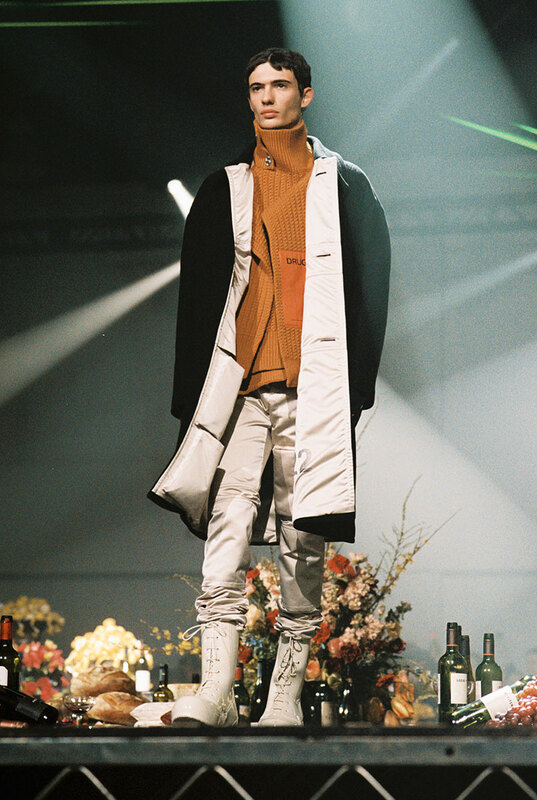 Everyone has their opinion— Raf is a fan, it’s just aesthetics. 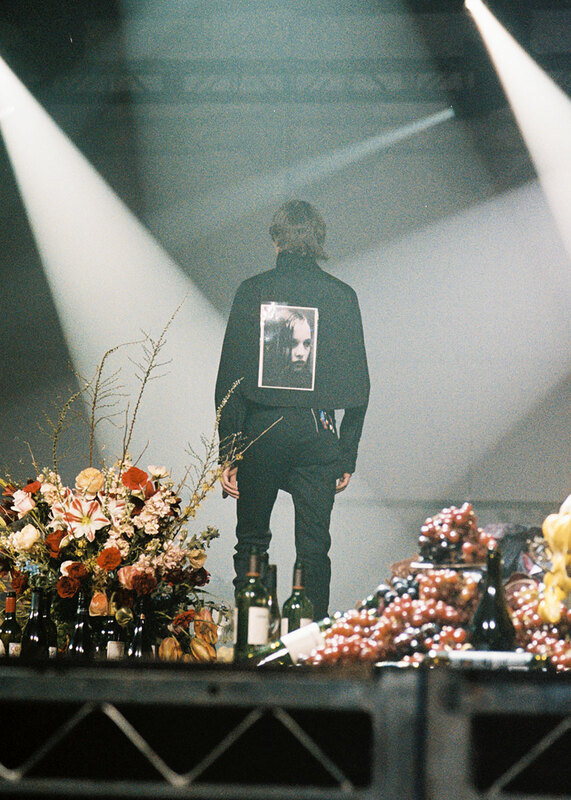 Raf represents the underdog, is shedding light on the lesser-known artists, he sees the avant-garde subcultures of generations long gone. He’s providing a platform for issues, America is in an opioid crisis! But here it is, and Raf, I hope you’re reading this. You’re an addict. And not an anthropologist— although your drug of choice is culture. You pulled it off, Raf— so, please, be careful. 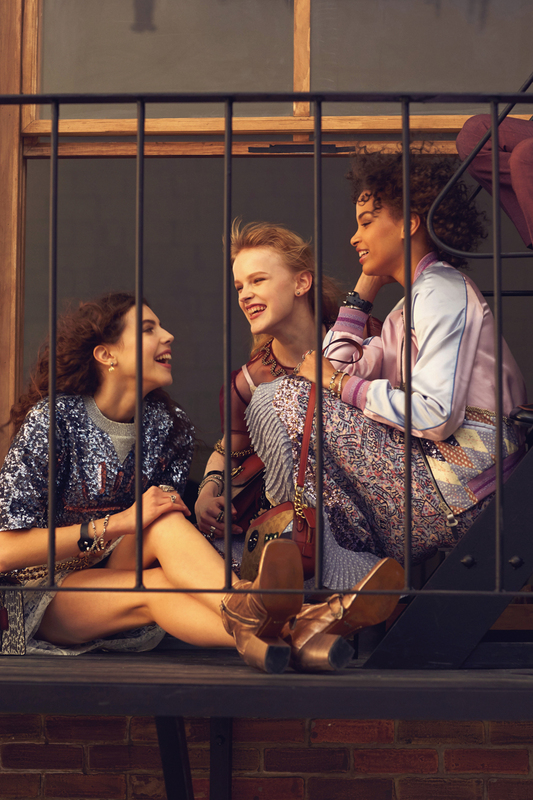 You can do anything, your collection will always be one of the best— you’re cool, and you’re killing it.So don’t let that lead you astray, just leave the political conversations for those who live them. 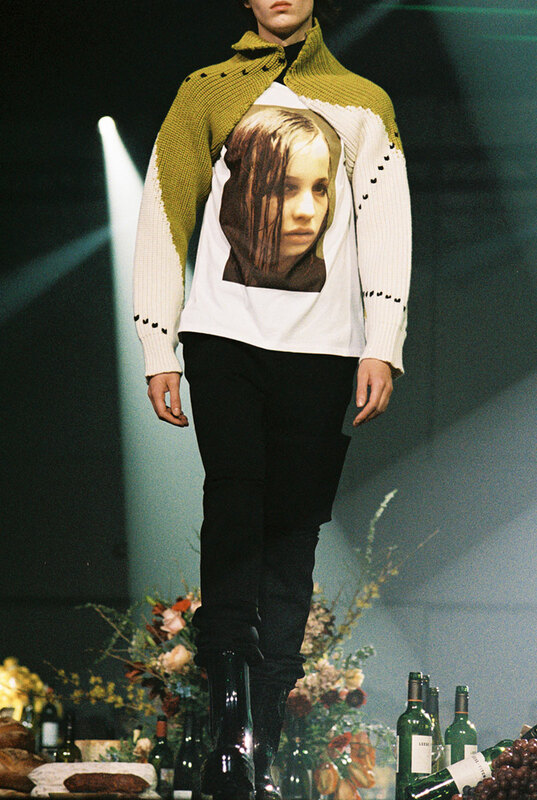 Casey Cadwallader makes his debut at Paris Fashion Week. Milan-based designer brings it home with dangerously bold aesthetics. 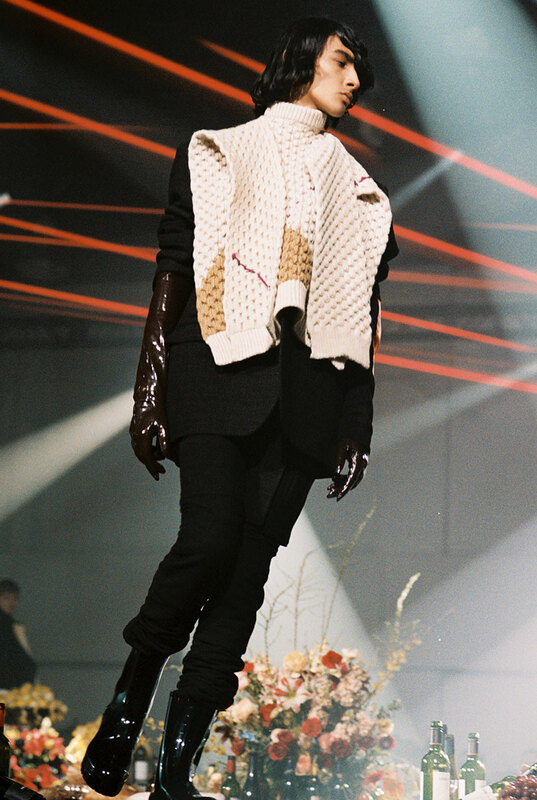 Russian-born stylist Valeria Semushina has recently been building some serious hype. 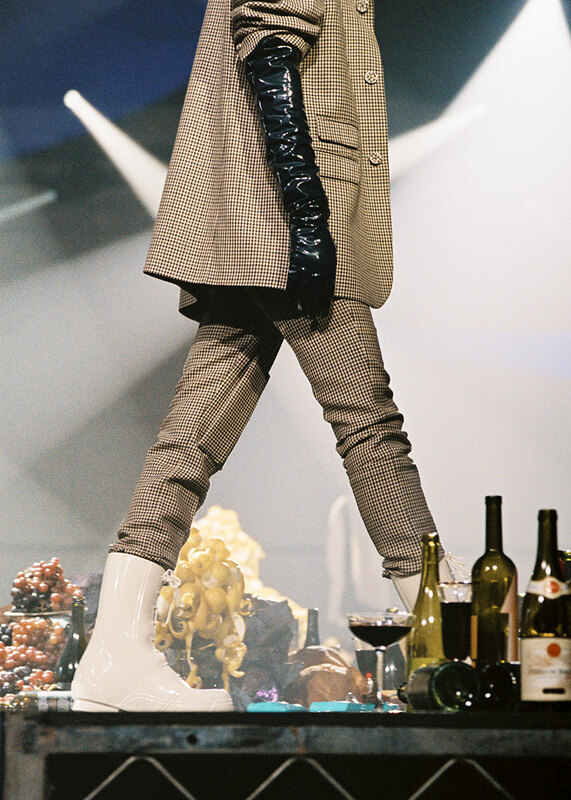 Leaving her home country, she came to Milan eight years ago, fueled by creating bigger career in fashion for herself— which she actualised, rapidly attaining impressive industry regard, and working her way to the top of Italy's style scene. 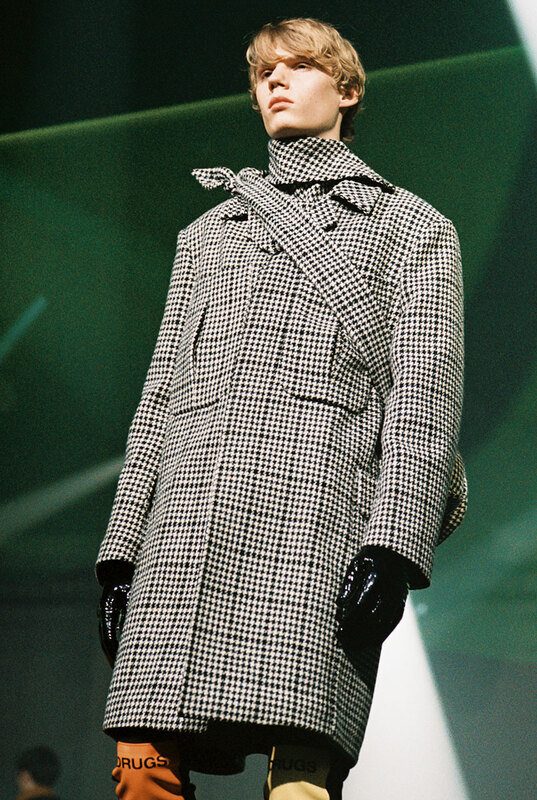 And her success is anything but unwarranted— with her self-proclaimed "post-soviet style" she stands out, strongly, at the helm of what is the new era of fashion that finds inspiration in Eastern European roots, and is being referenced by the likes of Lotta Volkova, Gosha, and the re-branding of Balenciaga. 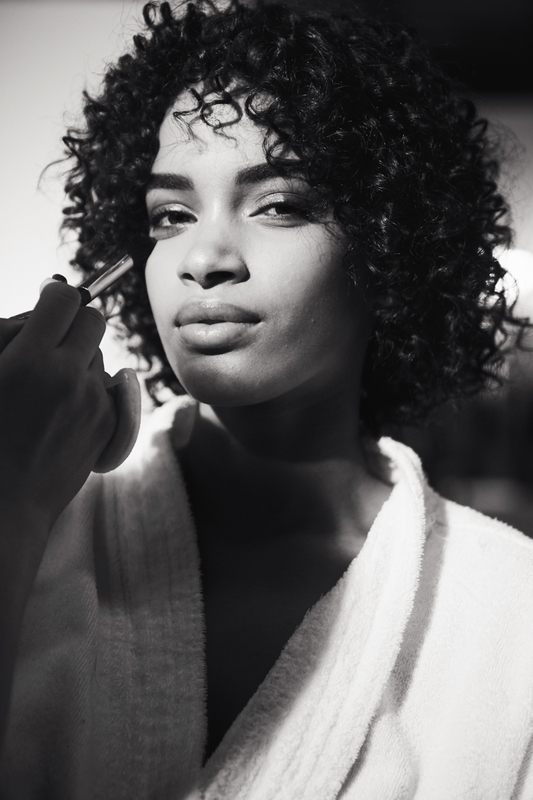 office met with Valeria at her home in Milan, and chatted about creating a career, by coming back to the beginning. Tell me bit more about your background and how you ended up in Milan from Russia. So I moved to Milan eight years ago when I was fifteen. I actually came here to study fashion; we, Russians, are fascinated with what Italy represent in terms of history and aesthetic and to us Milan is still the world’s “Capital of Fashion”. I’m originally from Tomsk, Siberia, which is a pretty big city filled with history and tradition but still feels youthful and modern at the same time. I love my hometown but I’ve never really felt homesick because I immediately fell in love with Italian culture. Is the attachment to brands and fashion something you developed while in Russia or did you bring that here? How has Milan shaped your vision and direction? When I first moved to Italy I was into “Russian Glam” which are tight silhouettes and hi-heels shoes. After my degree I started to be more open and dive into different styles. 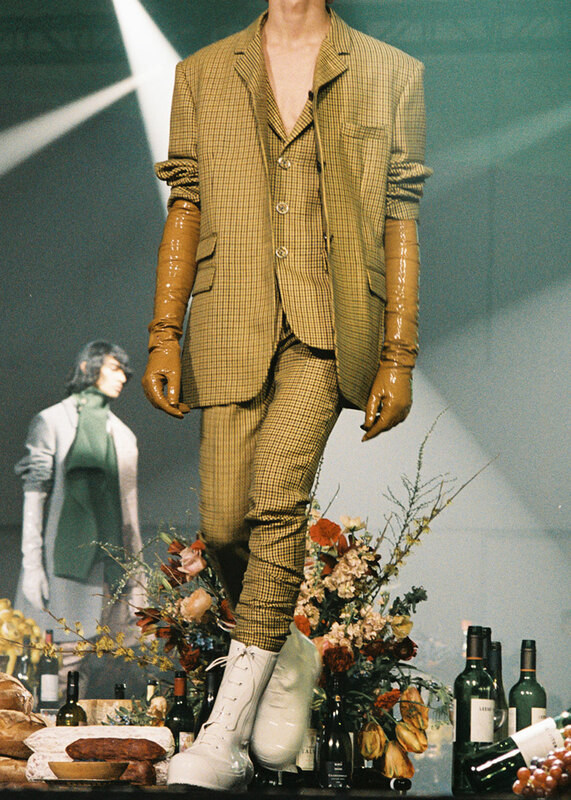 Milano definitely shaped my vision and definitely has played an important role in my work as a stylist. When we met in Milano at your place I remember exchanging a few words about the so called “Post Russian” aesthetic, which to be honest is something I was already familiar with, since it was sort of a uniform for the first wave of immigrants from North Africa in Italy in the early 90’s. I’m proud and surprised at the same time that the Russian verve has such a momentum now. 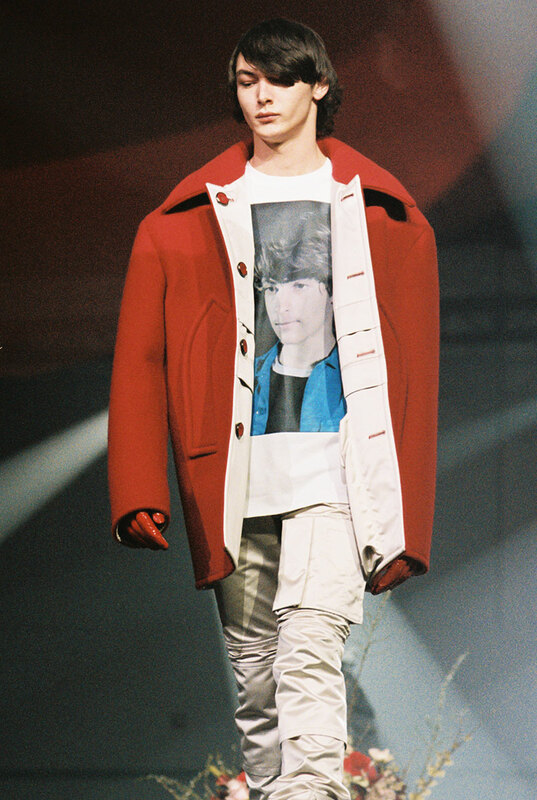 That the Tracksuit uniform from the Russian stray kids is now in the Dior shows! Gosha has definitely sparked this trend that to me was a sort of turning point for style in fashion. I would’ve never imagined that the style of those bad boys from the 90’s would have such attention now. I just remember how much people used to judge those kids back in Russia. As a photographer I’m slightly overwhelmed by today massive consumption of images. I’m wandering how you're dealing with that? It might be a generational thing but I fully embrace social media and the web, it’s my primary source of promotion. I can just reflect my whole aesthetic on it also, social media also doesn’t have geographical barriers and it’s refreshing to know that people overseas in the US or even in Russia can see my work instantly. Tell me more about your passion for painting! I’ve seen a few of pieces on your clothes at your home in Milan. I’ve had this sort of obsession with Van Gogh and it might sound trivial but I was always painting his work at young age, copying his paintings over and over. While in Russia I used to attend these painting classes where this artist would help you sort out your own style. It was magical era for me in terms of discovering my creativity! Pushed by these new tools and the desire or expanding those skills, I told her about the idea I had to paint Van Gogh's style on my sneakers. She wasn’t too into it but I still insisted. I actually paint on clothes exclusively at this point with oil-based pigments like Van Gogh! What is one thing that you still really don’t understand about Italian culture and one that you embrace fully? I still really don’t get the Italian pace. Its a really laid back way to live life, but its probably also what really captured me in the first place. Food, friendship, good wine, laughs, hectic talks, tons of caffeine!! There’s a nice rhythm and I can manage time on that cadence. I couldn’t think about any other place for me right now. Ciao! 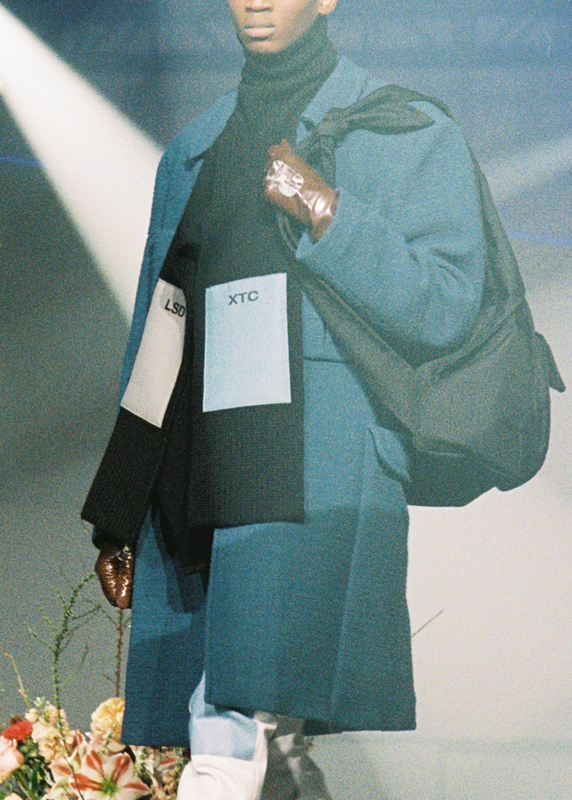 Kim Jones presents his latest collection on a catwalk-turned-conveyor belt. From all of us at office, there is no better way to wish Alexander Wang the happiest of birthdays, than by heading back office people of issue 06. In his interivew, we got to see the stylish workspace of one of our favorite fashion figures, and hear how he explains his intriuging innerworkings— now you can too. Photo by Jesper D. Lund. 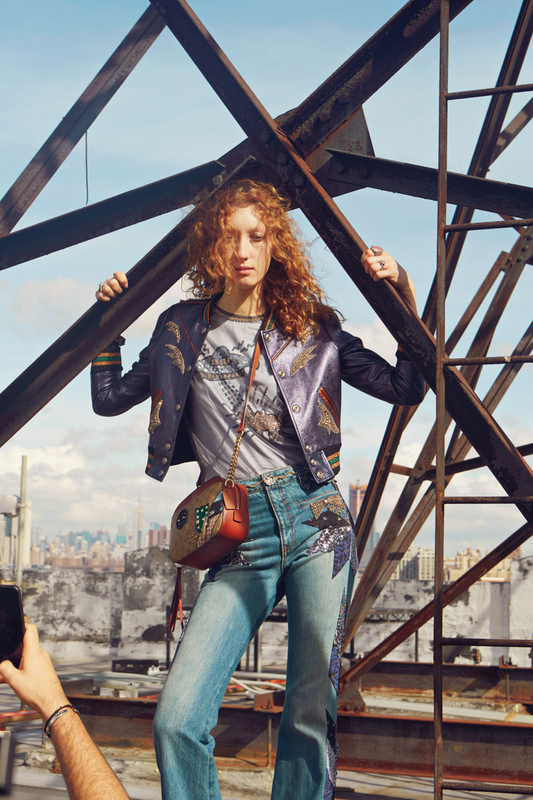 For the Spring 2018 season, Coach found inspiration in the illustrations of iconic artist Keith Haring. 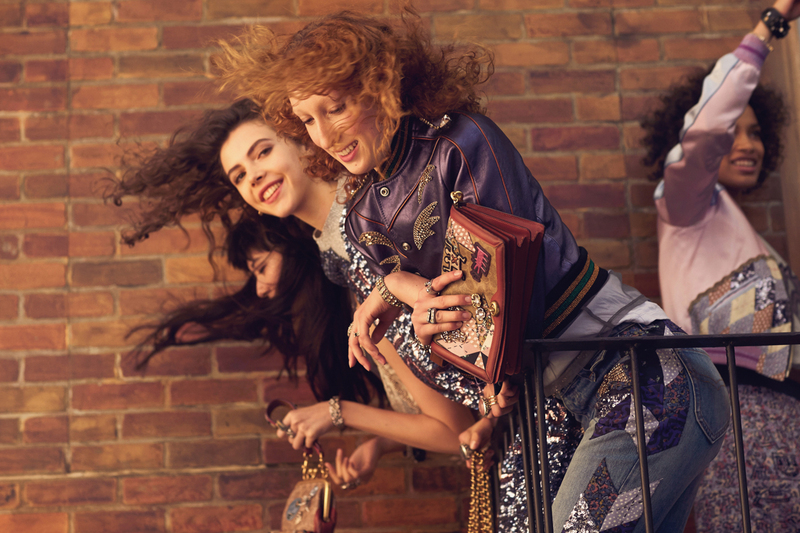 To truly keep Haring at heart, Coach created a fitting campaign to feature the collection, one that takes care in capturing the "toughness and tenderness of New York City." 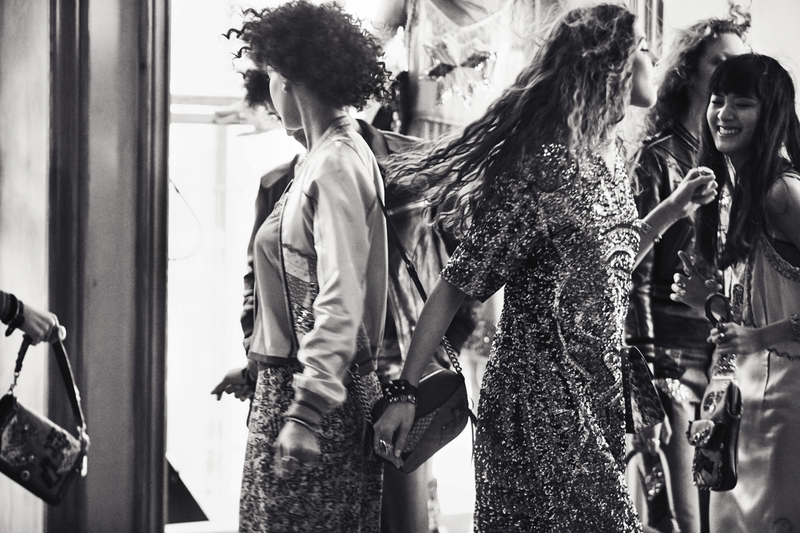 They have collaborated with long-time partner, photographer Steven Meisel, for a series of shots suited to present a season that includes unexpected re-editions of previous Coach pieces, and incorporates Haring's historic, avant-garde art in their accessories and attire. behind the scenes shots below, courtesy of Coach. Appreciating 30 years of A.P.C. 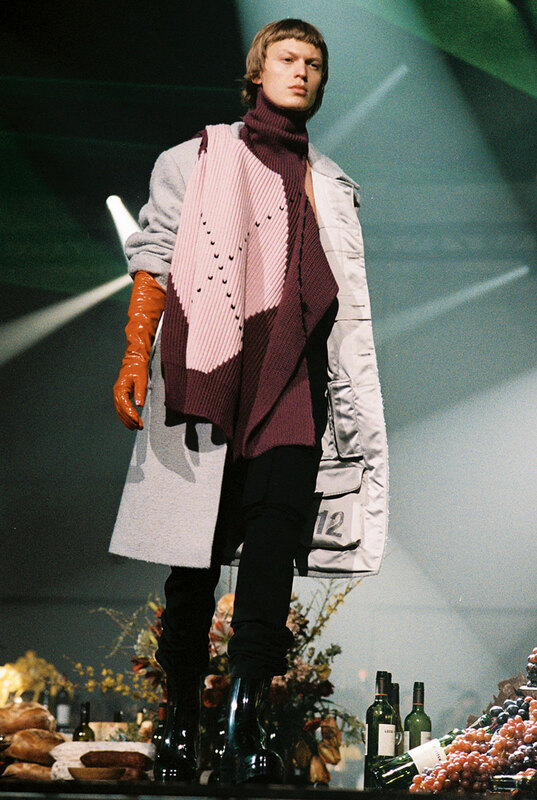 The show was filled with the label's trademark color blocking. 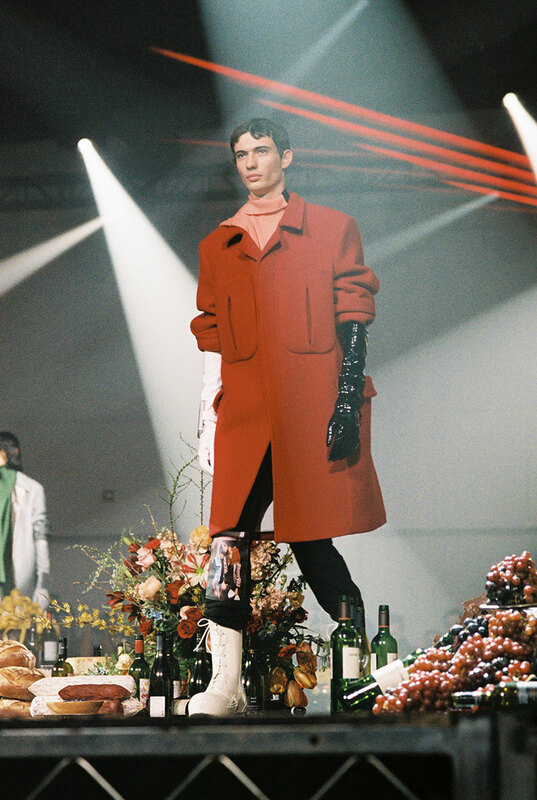 AREA strikes beauty in the balance between dignity and defiance for F/W '19.